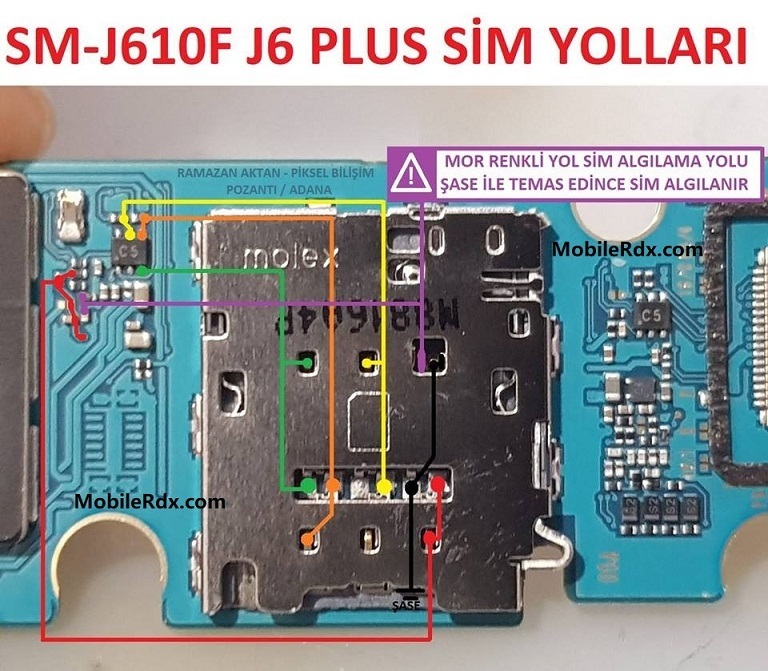 Here’s the full solution for Samsung Galaxy J6 Plus J610F SIM card problem that it does not accept or detect any SIM card being inserted into it. This solution shows the full line paths or connection tracks of the Nokia SIM circuit, from the SIM pin connector through to the SIM filter IC and to the innermost part of the main chips solder ball bumps. The No SIM card error usually occurs when your SIM card is not inserted properly. This is the most common reason for the error but it is not the only reason why your phone may show this error. No SIM card can mean problems with your device’s software too. There is a chance that the SIM card is inserted properly but your device is not reading it because a software corruption. It may also point towards your device’s inability to check for a network.